This post is going to be short and sweet, but will give you a hack you can use for the rest of your life! We went camping this last weekend up the mountains. We had a great time. The weather was perfect. We stayed one night and we all slept well……………..and then we woke up!!! We all woke up to mosquito bites all over us! We were eaten a live. I have one child that swells up whenever he gets eaten by those little buggers. He had big swollen, bumps all up and down his arms and on the back of his hands. I went and opened up our cleaning cupboard and pulled out some AMMONIA. Yep, that is right. I dipped a paper towel into the ammonia and wiped it onto all of my little boys mosquito bites. He cried a little longer, but before I knew it he was gone and playing. The itching had stopped and my little boy was happy again. My mother in-law introduced me to this trick and it works. 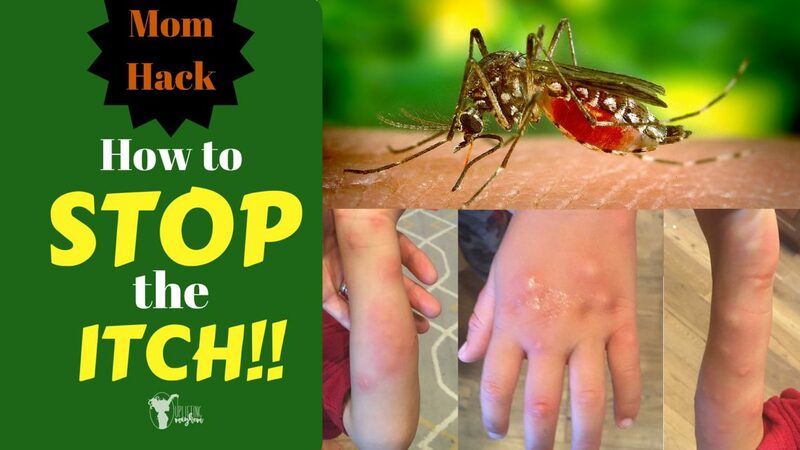 Once it starts itching again, just apply more ammonia to the bite. 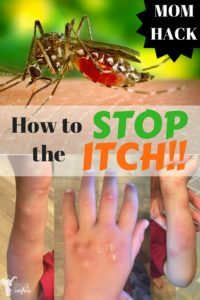 After awhile my little boy would come running, pointing at another bite saying, “Mom this one is itching!” We would apply more as new itch showed up! Here is a little heads up……. The bite has become open from itching it too much. the ammonia may sting a little. My boy had a bite that he itched the top off, and it stung a little bit when we applied the ammonia. He whined for a couple seconds when we applied it, but it was quick lived. 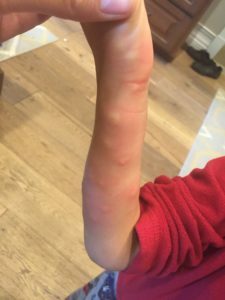 Ammonia is found in a lot of over the counter mosquito bite creams. Use the diluted kind you find at the store. It works like a charm! Good luck!